Today (7/1) only get this pair of New Balance Women's Cross Training Shoes for ONLY $39.99 (Retail $99.99)! Minimus is a whole new approach to athletic footwear, inspired by Good Form Running and designed to be worn with or without socks. 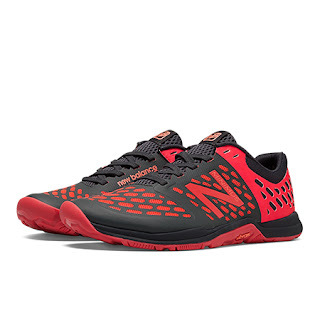 The Minimus Cross-Trainer embodies both elegant simplicity and technical advancement. With its padded collar and deliberate lace placement, the New Balance WX20 is engineered to keep your ankle stabilized in an ideal position. Tremendously comfortable, it also offers lightweight enhancements like rubber outsole insets for optimal traction.